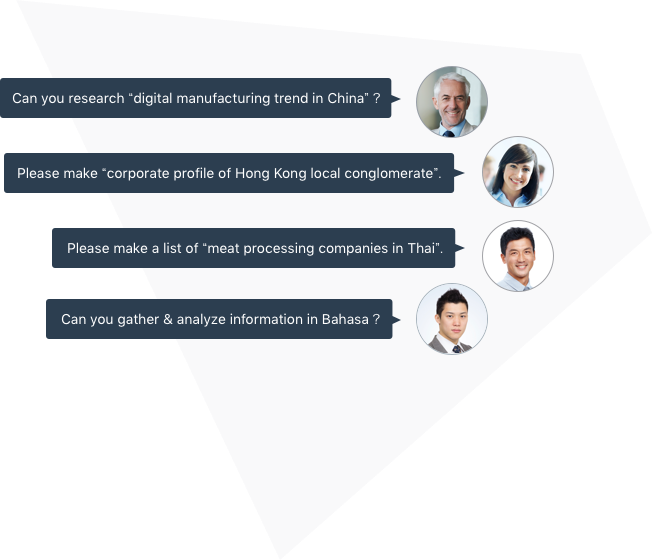 Consulting Firms and Corporates in Asia. SPEEDA covers both major and niche industries, with strong emphasis on Greater China, Southeast Asia, South Korea, and Japan. The SPEEDA platform provides a wide range of coverage for public and private company data, which is otherwise difficult to obtain from public sources. Get the most comprehensive information on M&A and IPO deals across 200 countries. Deal values, deal multiples, comparable transactions are provided. Gain insights into niche markets with SPEEDA’s customised research service, whether it be target screening, peer comparison, or data compilation. Discover key industry information, including market size, market share, market and industry trends, competitive landscape, key regulations and value chain through SPEEDA. In addition to proprietary industry reports across 560 industries, SPEEDA leverages market research from partners like BMI and Euromonitor to provide statistical data and reports for clients. While public listed company data is generally available, obtaining private company database is always a pain point for analysts. 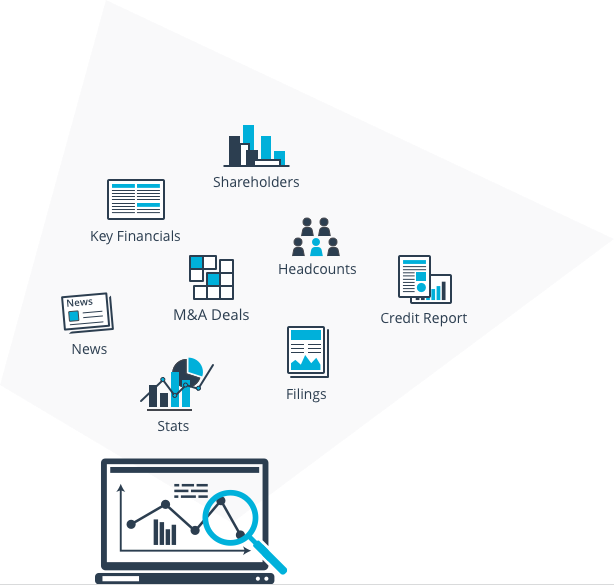 With SPEEDA, users can research and screen private companies more efficiently, and access key information such as financials, shareholders, key executives, news, and more. Get the most comprehensive M&A and IPO deals across 200 countries. SPEEDA aggregates information from 85,000 highly reputable sources, including media outlets, stock exchanges, company disclosures and advisor submissions in one platform. Analyse the in-depth deal profiles, which include deal values, deal multiples, comparable transactions, deal commentary, advisors and others. 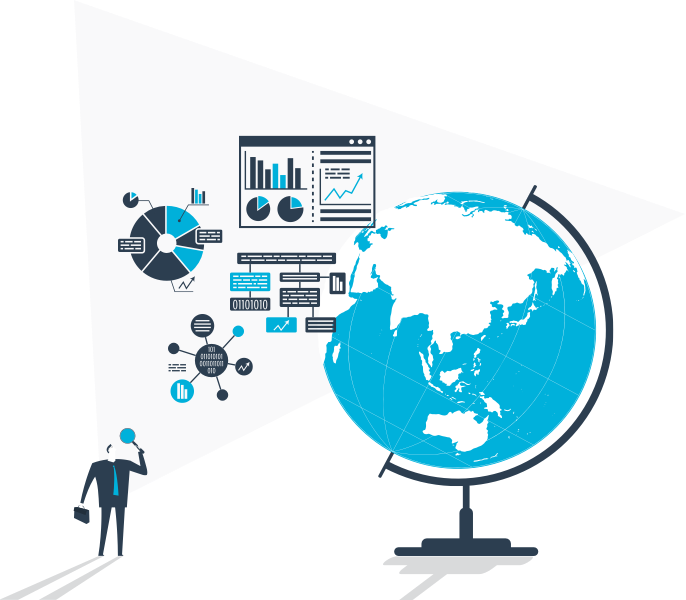 Gain insights into niche markets with SPEEDA customised research service. More than just a database, SPEEDA offers incisive analyses and comprehensive reports by professional consultants with nine different language capabilities. Our analyst with extensive research experience provide in-depth professional output for our clients. Our professional consultants with 9 different language capabilities help clients to gather information. Our high-quality reports can help you to save…you can focus on more important analysis. SPEEDA clients include leading Investment Banks, PE Funds, Consulting Firms, and Corporations in Asia.